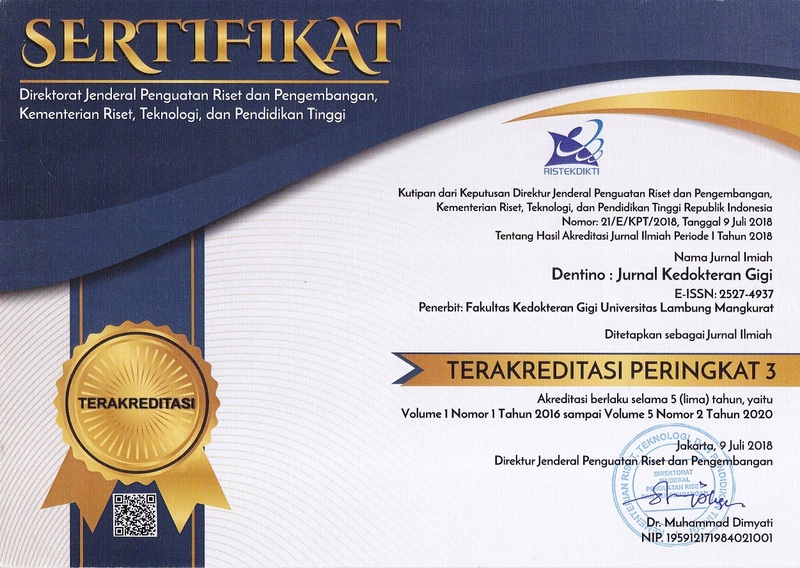 Dentino [P-ISSN 2337-5310 | E-ISSN 2527-4937] is the journal contains research articles and review of the literature on dentistry which is managed by the Faculty of Dentistry, Lambung Mangkurat University. Dentino published twice a year, every March and September. (Accredited) Valid from 9 July 2018, KEMENRISTEKDIKTI RI Nomor 21/E/KPT/2018 : SINTA 3.